The group Tecmerin (Universidad Carlos III de Madrid), within the Research Project “Cine y televisión en España 1986-1995: modernidad y emergencia de la cultura global”, organizes an International Conference “Cinema, TV and Popular Culture in the 1990s: Spain-Latin America” on October 17th, 18th and 19th, 2018 (5th Tecmerin Academic Encounter). Key Note Speakers at the conference will be: Robert Stam, New York University, Sabine Schlickers, Universität Bremen, Duncan Wheeler, University of Leeds. The official languages of the conference are both English and Spanish. – Transformations in the 1990s film panorama. -The rebirth of national television fiction. 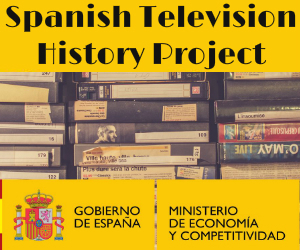 -Film and television co-productions between Spain and Latin America. -New music approaches during the 1990s: the “indie” generation. -The EU and 1990s cultural production. -Globalization, identity and the celebration of macro-events. -“Star System” and representations of the “Hispanic”. -Contemporary approaches to the 1990s in film and television.